Save money with Image Armor CMYK DTG Ink Kits! 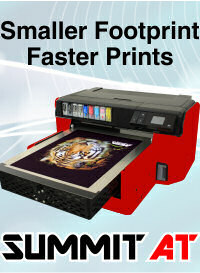 Image Armor CMYK DTG inks cure in only 35 seconds, and work great with most DTG printers. Each CMYK Ink Kit contains one liter (1000 ml) bottle of each: cyan, magenta, yellow and black.